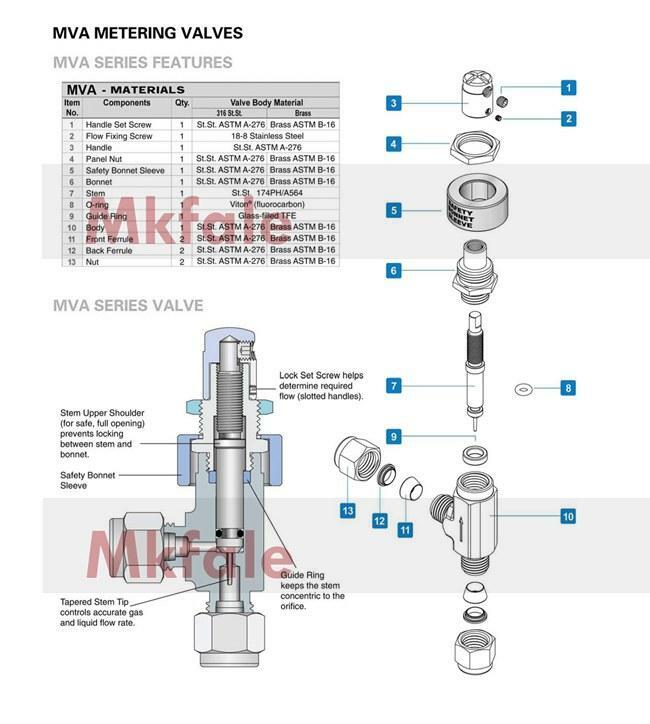 1 / 8 " 3mm , 1 / 4 " 6mm , 3 / 8 "
The MV Series is a moderate - pressure instrumentation flow - regulating needle valve . 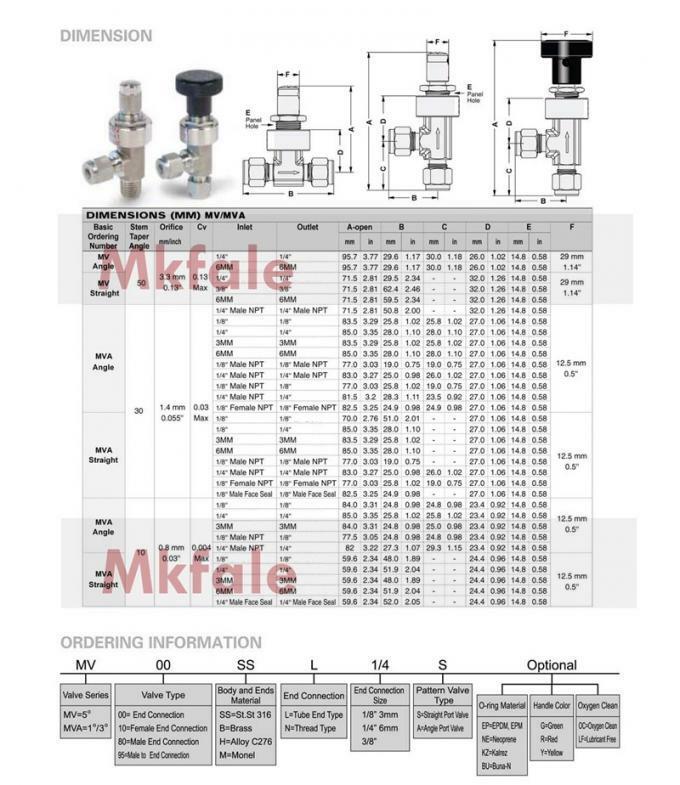 It is generally used for instrumentation panels , sampling systems and accurate applications . 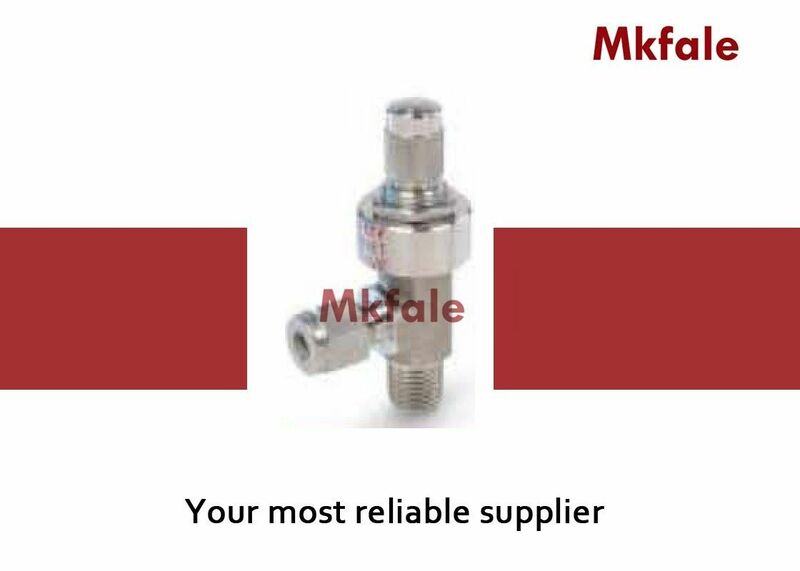 The valves are compact in size and structure and offer reliably low and moderate flow regulation with long service life . The MV Series is rated to max . 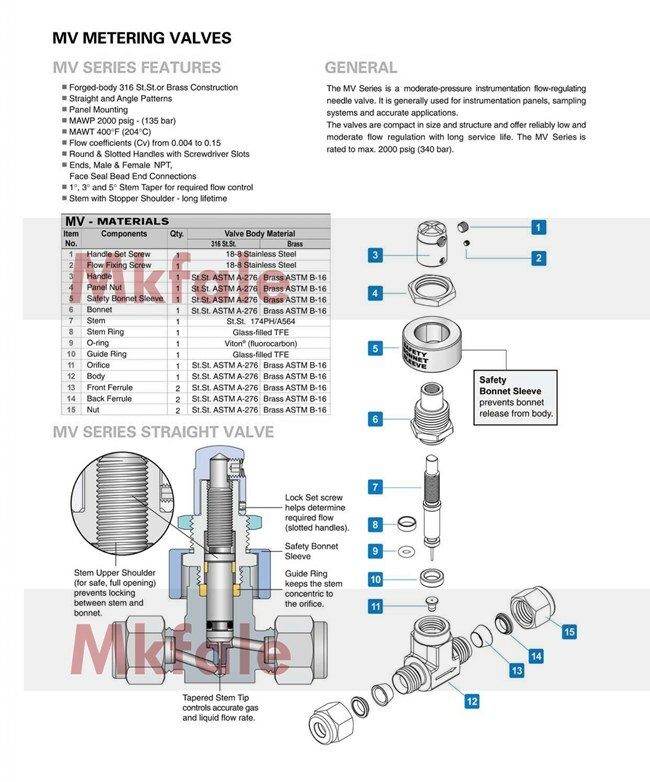 2000 psig ( 340 bar ) . End Connection Size : 1 / 8 " 3mm 1 / 4 " 6mm , 3 / 8 "